LevantayTV is the place to be empowered and entertained. Sign up to become an insider and never miss an episode. 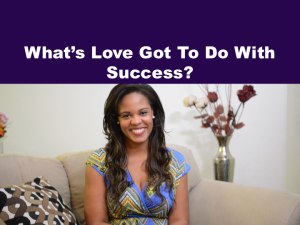 Years ago Tina Turner asked “What’s love got to do with it?” In this video you will see love like you’ve never seen it before and find out just how quintessential love is to overall success.